BHEL Trichy recruitment 2019 – Bharat Heavy Electricals Limited recruiting 400 candidates to fill their Apprentice job in Trichy. Aspirants are requested to go through the latest BHEL Trichy job notification 2019 fully, Before applying to this job. Bharat Heavy Electricals Limited (BHEL Trichy) career is comes under the Government job. This is the best opportunity for the job hunters who are looking for the Career in BHEL Trichy. Bharat Heavy Electricals Limited organization job applications are collected by online mode, through https://trichy.bhel.com/tms/app_pro/index.jsp. Candidates are requested to check their education qualification required for various Bharat Heavy Electricals Limited (BHEL Trichy) job opportunities. Passed 10th class examination under 10+2 system of education with Science and Mathematics as subjects or its equivalent and passed 2 years training in Govt. ITI in the trade of Machinist (Miller/Composite) and be eligible for National Trade Certificate issued by NCTVT. Passed 12th class examination in the last 3 years (i.e. 2015,16,&17 under 10+2 system of education with Physics, Chemistry & Biology. To apply Bharat Heavy Electricals Limited job, the candidates required to attain following age limit. The notified aged candidates only can able to apply for the job vacancy. check the age limit details below. 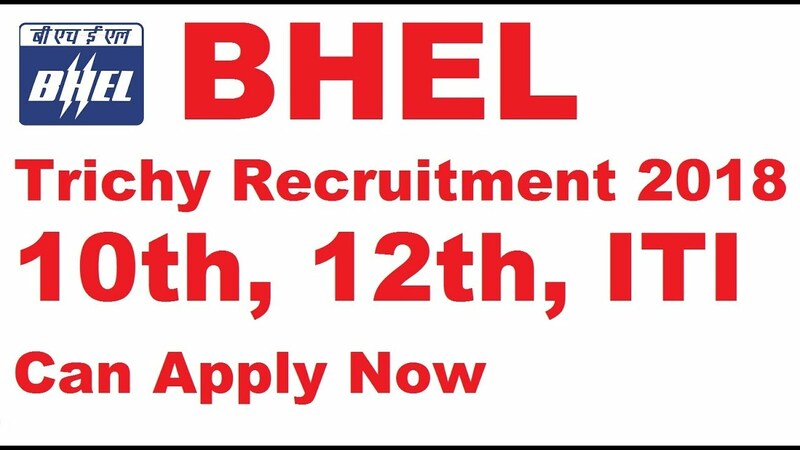 For Gen/ UR Candidates – 18 to 27 Years..
BHEL Trichy may follow the following process to select the candidates. The following important dates need to be remembered by the Railway Recruitment Boards (RRB) candidates.